Beautiful, beloved Lakshmi is the Hindu goddess of wealth, happiness, and abundant good fortune. This fascinating book is the first comprehensive guide to this celebrated goddess, her worship, and the deeper spiritual domain of prosperity she reveals. Constantine Rhodes presents over five hundred elegantly translated Sanskrit verses, including devotional songs, mantras, visualizations, and ceremonial instructions that devotees use to invoke Lakshmi. Rhodes uses these texts to develop a richly detailed portrait of Lakshmi, revealing unexpected dimensions of this enigmatic deity. Even as Lakshmi is best known as a goddess of wealth and well being, she also maintains a strong esoteric presence, expressing herself as Siddhi, the magnificent Tantric goddess of spiritual power, and as Kunalini Shakti, the transformative cosmic force that exists within each individual. These identities express the “prosperity consciousness” that is the essential nature of the goddess and the divine source of all wealth. Invoking Lakshmi is not only a matter of calling upon the external form of the goddess but also of aligning one’s consciousness with the very essence with the very essence of prosperity. Constanitna Rhodes teaches in the Program in Religion at the City University of New York’s Hunter College. 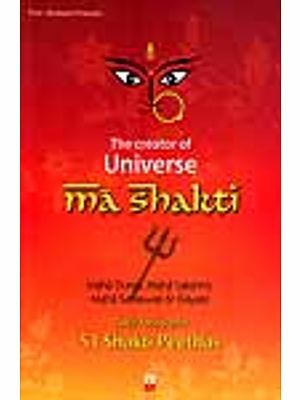 Her books include Shiva Devotional Songs of Kashmir: A Translation and Study of Utpaladeva’s Shivastotravali and Meditations on Shiva: The Shivastotravali of Utapaladeva. It was autumn in Delhi, that majestic time of year when the sky sparkles a bright blue and evenings resonate with a gentle coolness. A season of delightful reprieve from the summer's heat, autumn is a time to celebrate life's bounty. As its refreshment mediates against all kinds of torpor, many experience this season as an expression of the goddess. Even the name Autumn is one of her names.' This is a time of movement and excitement, a time of visiting and of receiving guests. It is therefore no wonder that this is the time to receive the most desirable guest of all, for this is when the gracious goddess visits her earthly devotees and infuses them with her blessings. In particular, autumn is the most auspicious time for invoking Laksmi, beloved goddess of beauty, wealth, prosperity, and abundant good fortune. In every neighborhood, people were cleaning house, some of them also scrubbing the exterior walls, applying fresh coats of white- wash or paint. They were preparing for Divali.? The Festival of Lights celebrating Laksmi, Everyone and everything seemed to be in on the celebration. Temples, homes, shops, taxis, and the streets themselves were decorated and made ready for the goddess's arrival. In the marketplaces, strings of tiny electric lights sparkled in the trees and from awnings. When night fell, firecrackers would compete with the sound of devotional music on public loudspeakers. On the day of the new moon, women decorated the steps leading to their doors with beautiful designs in bright-colored powders, tracing footsteps for the goddess of wealth to find her way into their homes. Alongside the footsteps they placed rows and rows of small clay lamps, and at nightfall, they lit the lamps, their cotton wicks saturated with ghee,3 which emitted an exquisite, golden brilliance. These small lamps were also placed up on the flat rooftops, so that the entire house was lit up in a kind of landing pattern for Laksmi to follow as she descended from the heavens. With an invitation of such beauty and luminosity, how could the goddess resist gracing these homes with her presence? I had been invited to attend my first puja, or ceremonial worship of the deity, in a private home on the outskirts of Delhi. Veena, the woman of the house, was performing a Divali: puja, for which she had set up a temporary altar in a corner of the bedroom. Having spent the past few days in cleaning and preparation, she appropriately began the actual ritual at dusk, when lamps are lit to dispel darkness. The central image of worship was a small framed lithograph print of the goddess Laksmi, which had been set into a large stainless steel bowl filled with puffed rice. Veena lit several sticks of sweet, highly fragrant incense and began to recite prayers and make offerings as she waved a small brass lamp fueled with ghee. Here again was that exquisite golden light. She was invoking the goddess, inviting her to enter the home and impart her blessings. Despite the steadfastness with which she performed the ritual motions, however, there was an impression of mild disorder, imprecision, and distraction: some of the liquid offerings spilled out of their containers, while powdered offerings blew away and onto the nearby bed, staining the bed cover with indelible vermilion and turmeric splotches. Children (hers and the neighbors') were running through the house and out into the lanes. Her husband would chase after them and bring them inside, after which they would wriggle free and resume their gleeful romping and attempting to get into the box of firecrackers. Despite the distractions and having to stop and start several times, Veena continued, nonplussed. It was clear from her relaxed demeanor that all was proceeding well. Although as a visitor I could only perceive the ordinary messiness of life that would some- how stand in the way of drawing down the divine into that house on that night, the hostess proceeded with a calm certainty that this was the puja, with spills, color, ringing bells, and interruptions, for as Veena sang supplicatory prayers to the Mother of the Universe, her own children were beseeching her to please hurry up and give them their sweets and sparklers. This jumbly melange of activities struck me as what the goddess of abundance must stand for-life, bright and awake, burgeoning, and despite all distractions and possible encumbrances, was ever moving in and around the human realm. This was certainly a far cry from the peaceful feeling of stillness I had expected. But the ceremony was not yet complete. Toward the close of the ceremony, Veena lit another lamp, this one with camphor, which sent out an initial blaze of sparks and then settled into a diamond-like, piercingly brilliant white light along with an astringent and pungent fragrance. Very suddenly things got quiet. Of their own accord, the children gathered close to the altar, standing still and with an attitude of expectation. I noticed that the street noise had subsided, and the darkening room seemed to spread with light. Within an instant, everything had changed. A deep and peaceful fullness settled over the house. That yogic point of perfect quietude flooded the heart and stilled the mind. I let go of compulsive, dualistic queries: Is Laksmi a goddess of the worldly realm? Or a goddess of transcendence? In that moment when the puja imploded into perfection, when the supplications from the human realm seem to have succeeded in drawing the goddess into our space, crowding out mundane restlessness with a deep and abundant tranquility, existence within the world and transcendence beyond the world seemed as one. The puja elicited a point of perfect suspension, a window into the infinite that exists between the movements of coming and going, of past and present, of mundane and holy. What was the cause of that glorious hiatus? When that splendid moment subsided and we began to move about, the first words out of anyone's mouth came when Veena's son Ramesh, all of three or four years old, announced: "Devi a rahi hai!" That is, "The goddess has arrived! " What Does It Mean to Invoke a Goddess? The goddess had arrived. What exactly did that mean? What exactly is a goddess? Who is the goddess Laksmi? And if she had arrived, where had she come from? How had Veena convinced her to come? Certainly, there were preparations, ceremonial actions, and singing to the goddess, which, I later discovered, were conceptualized as invitations extended to a magnificent guest. Invitations, however, do not always guarantee arrivals. What was in Veena's invocation that seemed to spell success? Invoking Lakshmi: The Goddess of Wealth in Song and Ceremony addresses these questions. The answers or perhaps, speculations-are based upon songs of praise that are offered to the goddess and that constitute the essence of her worship in its countless variegations. 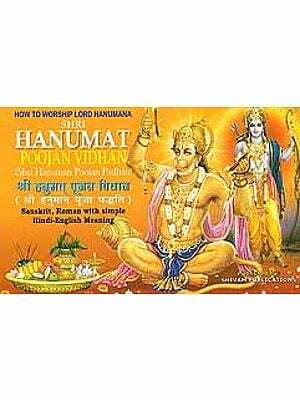 All of the songs in this volume are originally in Sanskrit. None but a few of these verses has ever appeared in translation. This is, to my knowledge, the first English-version collection of devotional songs dedicated entirely to Laksmi. With this volume, we offer an entirely new resource for the study and the invocation of the goddess of prosperity. Laksmi is by far the most popular and the most widely worshiped goddess in all of India. Her shrines appear everywhere-in homes, along roadsides, in most shops and places of business, and of course in the great temples across the entire subcontinent. For centuries, her devotees have invoked her in song and ceremony. Authorship of many of these songs is attributed to the gods themselves, and their words are said to have been imparted for the benefit of humankind, so that they may be used to invoke the goddess with efficacious results. All of these songs are invocations-the tradition holds that if a worshiper sincerely invokes Laksmi with these words, she will listen and respond to the call. Why do people invoke the goddess Laksmi? A better question might be: Why would they not invoke her? Who does not have at least some concern for physical and emotional well-being, material comfort, harmonious relationships, and spiritual insight? Not everyone may be focused entirely upon all of these, all of the time, and some may insist that they have no need for any of them. It is no secret, however, that when people seek the advice of spiritual, psychological, or religious counselors, their most pressing concerns overwhelmingly involve health, career, love, or existential crisis. The labels placed upon these issues vary, of course, according to cultural, religious, and historical frameworks, but they remain a constant in one form or another. 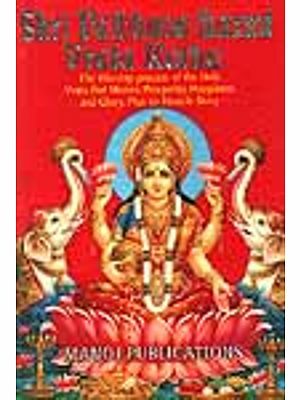 The songs to Laksmi in this volume give voice to these concerns, and they also provide insight into the nature and personalities of this goddess as she is envisioned both by her human devotees and by the gods themselves. As we shall see, Laksmi's devotees have turned to her again and again for blessings of good fortune in every aspect of life, for she is recognized as the limitless source-energy of all abundance, prosperity, and power, and her wealth takes infinite forms. Ancient India was renowned as a land of bounteous splendor, majesty, and wealth: It was an abundant source of precious metals and gemstones; of exquisite spices and condiments and gorgeous fabrics; of sophisticated medical sciences and equally sophisticated arts of sensual pleasure; and of a multitude of philosophical schools and spiritual traditions whereby one could contemplate how to integrate these many ways of being or simply abandon them altogether in pursuit of spiritual liberation. India's majestic confluence of material and spiritual prosperity reflects the nature of this goddess who embodies the rich and diverse ways of experiencing one's walk though this world. This explains why her devotees extol her as bhukii-mukti- pradaying-"bestower of material enjoyment and spiritual liberation." By worshiping the goddess of abundance, one is free to experience the fullness of all of life's blessings. Invoking Laksmi, Invoking Divine Luminosity Before moving forward with our study, we pause to address the question: What exactly is a goddess? The Sanskrit word for goddess is deoi; the word for god is deva. Both derive from the verbal root dio, which means to shine, to play, to sparkle, to rejoice. In English as well as in Sanskrit, luminosity and playful movement are two ways of verbalizing a singular phenomenon, as when we say, for example, that sunlight plays upon the waters. The verbal root div also means to gamble, to cast dice. The term, then, also conveys the excitement of uncertainty, the expectancy of luck, and the vibrant sensation that anything can happen-all of these as opposed to the frozen stagnancy of absolute certainty. Of course, depending upon perspective, playful uncertainty may be experienced as a chaotic abyss, and absolute certainty, a tranquil haven. This dichotomy is not lost as we move through this book and consider the many gradations of meaning in Laksmi's name, how she expresses herself, and what happens when she is forced into hiding. We shall see that Laksmi is the epitome of luminous energy in action: without a doubt, the goddess of prosperity is the quintessential devi. The devas (gods and goddesses collectively) are "luminous beings." When a worshiper invokes any of the devas, he or she is first calling upon their essence-divine, undifferentiated luminosity. Every impulse toward invoking Laksmi begins with a desire for that source of delight, splendor, and source-energy. When the energy of that source is aroused, then one may consider a particular focus, of which there are infinite expressions. These expressions may be seen as moods or personalities of the gods, making them perceptible to the world qualified by name and form. This is why the particular avenue of expressing divine energy to break past obstacles, for example, is embodied in the form of Canesa, lord of obstacles. So too does that luminous essence take form as the lovely one who shapes sound into eloquent speech, and artistic impulse into glorious refinement of artistic expression, as Sarasvati, goddess and patron of the fine arts. When that luminosity expresses itself as bounteous beauty, delight, harmony, abundant wealth, and spiritual liberation-in short, prosperity of every kind-then it is recognized and called upon as Laksmi, goddess of abundance. To invoke and draw forth the luminous source of all abundance and prosperity is the purpose of the songs in our collection. We offer this book as a source and resource for various types of readers. 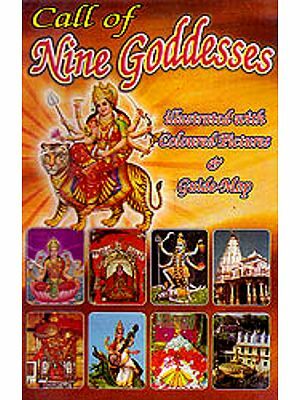 Scholars and students of Indic religion will find that this collection of original sources greatly enhances the study of goddess worship, devotional poetry, and, above all, the rich complexity of the goddess Laksmi herself, about whom surprisingly little has been written. Spiritual seekers will find that these songs are indeed conversations with the goddess, and that the words to these songs may give voice to their own joys and concerns as they navigate their way through the material expression of this world. And finally, devotees of the goddess in any of her forms will find in this volume a worship manual-a compendium of invocatory songs and the text of a worship ceremony-to use as a guide in their own worship, much as the original Sanskrit volume containing the texts of these songs was compiled as a guide for worshipers of the goddess in India. The heart of this book is a corpus of texts invoking the goddess Laksmi, both in song and in ceremony. I have organized this volume into four parts, as follows. In Part One, I portray the divine personalities of Laksmi as they emerge in the Vedic, Puranic, and Tantric texts-three major areas of Sanskrit sacred literature. In Part Two, I discuss the power of poetry in summoning the goddess, that is, I explore how each genre of song is understood to "work" in invoking the goddess. In Part Three, I present my translation of a complete Laksmi puja text. Here, in systematic detail, we revisit our impressionistic description of the Laksmi puja performed by Veena in her home in Delhi. I introduce this with a discussion of the nature of puja, explaining how to appreciate what puja is and how it "works." Then I present the translation of the pi1ja text, accompanying each verse with additional analysis and commentary specific to that aspect of the ceremony. In Part Four, I present what I consider the heart of this book-my translations of Vedic, Puranic, and Tantric songs invoking Laksmi. For scholars and for those devotees who wish to address the goddess in the original Sanskrit, I include, at the end of this volume, the texts in transliteration. When viewed sequentially, the songs invoking Laksmi reflect an increasingly complex portrait of the goddess as she is envisioned by her devotees. Each "divine personality" of the goddess builds upon and enhances the nuances of the previous one. In order to get a glimpse into the nature of the goddess we are about to encounter, we offer here the highlights of our first three chapters (constituting Part One of the book), as follows. Chapter I, "The Awesome Power of Auspiciousness: Laksmi of the Vedic Traditions," introduces the goddess in her form as the lotus and the lotus goddess, as well as an embodiment of Sri-splendor and majesty. The Vedic hymns invoke the goddess to come to the earthly realm, specifically to assist the king, whose sovereignty ensures the well-being of the kingdom. The realm of the goddess's blessing, then, is this earth, this world that we inhabit as embodied beings and as social creatures seeking abundance and prosperity. Chapter 2, "Living the Good Life: Laksmi of the Puranic Traditions," opens to a wider universe and engages the presence of the goddess not only across the fertile earth and propitious kingdom, but throughout the three worlds of heaven, earth, and the netherworlds. Prosperity expands in time and space, and, thematically, the goddess's blessings are now expressed through the more subtle and complex avenues of pleasure (kama), material wealth (artha), virtue (dharma), and spiritual liberation (moksa). These songs engage both the king and the householder, and many of their verses are said to have been uttered by the god Indra, king of the heavenly gods, in gratitude to the goddess for restoring harmony among the three worlds. 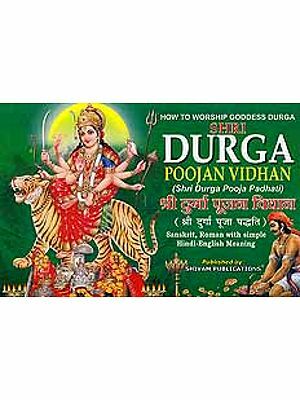 The Puranic songs address the goddess as Laksmi, majestic goddess of wealth, and consort or wife of Visnu. Together they embody the divine couple that preserves harmony in and among the worlds. These songs reflect the concerns of householders-whether the "house" is that of one's immediate family, the larger community, or the entire three worlds. The petitioners may be seeking prosperity or they may be expressing thanks to the goddess for having restored prosperity that had been lost and regained. The goddess is also addressed as Mahalaksmi, or "Great Laksmi," the expansive form of the goddess who creates, preserves, and destroys the universe, as well as obscurs and reveals supreme reality. 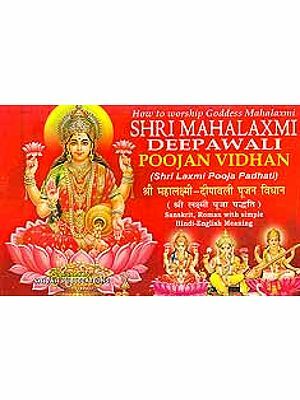 Most of the songs use the names Laksmi and Mahalaksmi interchangeably, with little technical distinction regarding the divine attributes of the goddess. Chapter 3, "Living the Powerful Life: Laksmi of the Tantric Traditions," moves into the esoteric realms of interior worship and the transformation of consciousness. Whereas the Vedic songs elicit the goddess's presence as the display of wealth and glory in this world, and those of the Puranas seek her presence as the harmonious blending of all types of wealth throughout the three realms of heaven, earth, and the netherworlds, the Tantric songs locate the power of the goddess in even more subtle universes embedded deep within the multiple strata of the human body and consciousness. Some of the Tantric songs invite the goddess's blessings by requesting that the goddess's powerful aspects come to dwell upon and within the practitioner. Most of the Tantric songs, however, reflect a monistic viewpoint: Here, the essence of the goddess is the ground of all being, inviting the Tantric worshiper to engage in her worship not only through external means but internally. The songs of the Vedas as well as those of the epics and Puranas invoke the goddess by drawing her down from her heavenly realm; the Tantric songs invoke her presence by waking her up, for she is the divine power that lies within us all. The songs throughout our collection seek the "favor" (prosanna) of the goddess, or for her to grant a boon (vara). The Tantric songs seek also to generate siddhi-the spiritual power of attainment and perfection-within the practitioner's own body and consciousness. The Tantric poets invoke the goddess in her most subtle forms, for not only do they seek those blessings that make their mark in the material world, but they seek to live in complete alignment with the source energy of those blessings. My intention with Invoking Lakshmi is to present a collection of devotional songs and ceremonies that most closely replicates what a Hindu worshiper would use to invoke the goddess. I have therefore drawn upon a compilation of Sanskrit worship texts presented in a paddhati, or manual for popular worship. The paddhati is an intriguing popular genre that has received relatively little attention by scholars, especially as a source of Sanskrit texts. Although basing my selection of songs upon a paddhati has not been without some scholarly problems (mostly concerning the origins and lineage of the texts as well as some variants in language and spelling), I have found that presenting a body of work based upon the indigenous category of the paddhati offers an exciting new way to experience Sanskrit texts in translation. Most of the texts in this book are taken from Sri Laksmi Upasana [Adoration of the Glorious Laksmi], edited by Pandit Rajesh Dixit. 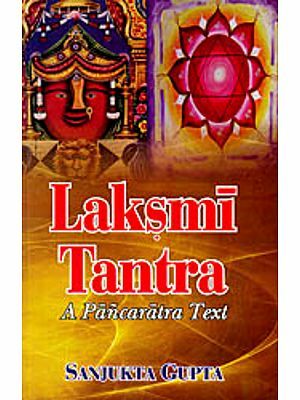 This manual contains Sanskrit texts dedicated to Laksmi that originate from a variety of sources and worship traditions. Since the main purpose of a paddhati is to facilitate ritual, it is therefore not surprising that the texts included in such a manual have not been categorized in any way, nor has much information been given concerning their original sources. Some of the texts provide source information in the colophon, although this is not always reliable. Such disparity is a feature not only of the paddhaii but of the textual traditions themselves, which, as they developed with complexity across time and region, may have come to exist in varying recensions and editions. For example, the colophon of the Song for the Laksmi of Spiritual Power (Sri Siddhalaksmi Stotram) indicates that it is found in the Brahma Purana, although inspection of that purana has not revealed that text. Clearly, the very first questions often asked by scholars about the specific origin of a text may never be addressed within the tradition. However, this should not deter us from translating these texts, listening to what they have to say, and allowing them to increase our appreciation of how worshipers and deities communicate with each other. Sanskritists may find interest in the slightly nonstandard forms of the language exhibited in some of the Tantric selections. The text of the Song-Amulet of the Lotus Goddess (Kamaliitmika Kaoacam), for example, suggests an Eastern transmission of Sakta literature (as in Assam or Bengal), employing the doubling of consonants instead of consonant clusters (such as (samiittam for samiiptam), or the doubling of the semivowel (such as sarvva for sarva, purvva for purva, and panroatt for paroatti. It is not always possible to ascertain the exact origin of some devotional texts, for a couple of reasons: First, the tradition itself does not always provide the types of answers we are looking for. Even the most easily identifiable songs-our first two, which are from the Vedas-are actually appended to the Vedas. We do not know where they "existed" before that. Second, the nature of Sanskrit devotional poetry is fluid and malleable. When a text is said to be found within a larger work, it is never entirely clear whether that text was derived from the larger work or whether it was later inserted into that work. Two well-known examples of this may be seen when we consider whether the Bhagavad cu« was inserted into-or derived from-the Mahatmyam, or whether the Derived Mahatmayam was inserted into-or derived from-the Mhakandeya purana. This feature-whereby entire segments may be inserted into or extracted from larger texts-actually begins with individual verses comprising the texts themselves. As I note throughout Invoking Lakshmi, certain verses in one song appear verbatim in other songs. Sometimes, these are the initial verses that establish a visualization for meditation on the deity. Perhaps the most striking example of this malleability is in the final song of our Tantric section, the Secret Lakshmi Incantation That Yields Immediate Results verses (Sadyah Phalada Lakshmistava Hrdayam); eleven of this song’s sixteen verse also appear within the 108 verses of The Secret Heart of Lakshmi (Sri Mahlaksmi Hrdayam).